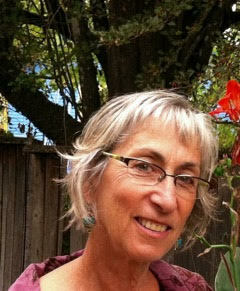 Kathy Goos, a potter and retired elementary school art teacher, joined Enchanted Circle Theater’s Board in 2015. She first became involved with Enchanted Circle when she wrote a grant to bring the company to work as artists in residence at the Bridge Street School in Northampton, MA in the early1990’s. Impressed by the organization and its mission of teaching through the arts, she then worked part-time as ECT’s business manager from 1995 until 2000, when she went back to work as an art teacher in Granby, Massachusetts. In the 1970’s, Kathy taught art at the High School in Westborough, Massachusetts. After moving to Western Mass in 1981, she set up her studio and taught ceramics at Springfield College. Through all those decades, Kathy produced and sold functional stoneware pottery. Kathy is very grateful to be able to volunteer her time now on the ECT Board. She believes the work they do infusing arts and education in the schools, on the stage and in community settings is truly powerful and has lasting impact on students, schools, families and society. She encourages everyone to see them in action.